Locksmiths can access any home or business. Hire a locksmith you can trust! Harvey Gurney has been keeping New Hampshire homes and businesses safe and secure since 1999. 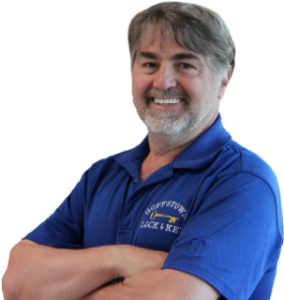 If you think about it, a locksmith’s job description is very simple – getting people in, or keeping people out. But the nuances of finding the best lock or door hardware for a specific use is quite extensive. Home security options are not just keyed deadbolt locks anymore – secured home entry systems have expanded to digital solutions like electronic deadbolts. Commercial door lock systems are even more complex. 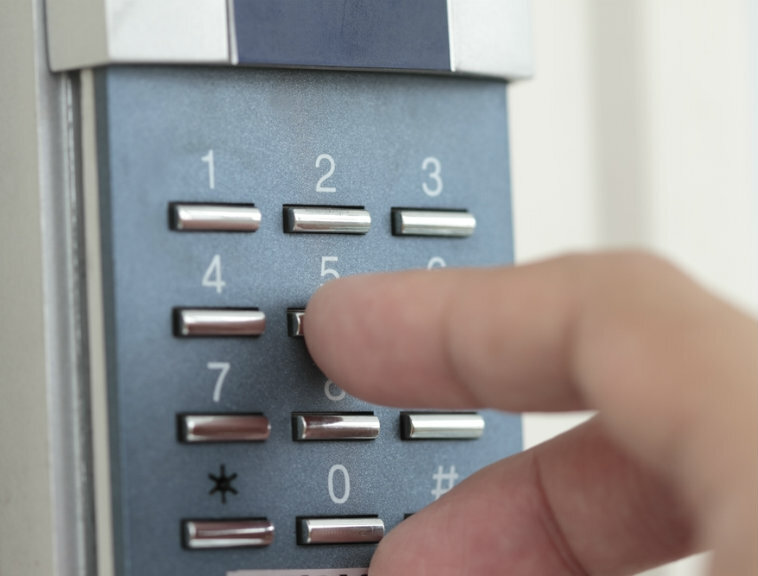 Restricted key access that use a master key system, electronically managed access controls (as you would find in a hotel), or keypad entry systems that monitors who enters or leaves the building are essential for commercial building security. We design and install the right access control system for our clients’ individual needs. Commercial doors take a lot of abuse, but they do break. Aside from access control systems, a big part of what we do as locksmiths in the Manchester area is repair and install commercial door hardware. When a commercial door breaks, it can be costly to replace the entire door. Many times we are able to save our commercial clients money by replacing only the part of the door that is broken. Door closers, hinges, and push-bar exit devices are the most common commercial door hardware to fail with extensive use. We use our knowledge and experience to find the best door hardware for our clients’ needs and engineer a solution that is permanent and also affordable. On-call, when you need us. A locksmith’s job is not 9-to-5. Lockouts and door failures can happen any time of the day or night. Goffstown Lock and Key provides 24-hour emergency locksmith services throughout Southern New Hampshire for both residential and commercial clients. If you are concerned that your home or business is not secure, call us today for a free consultation.